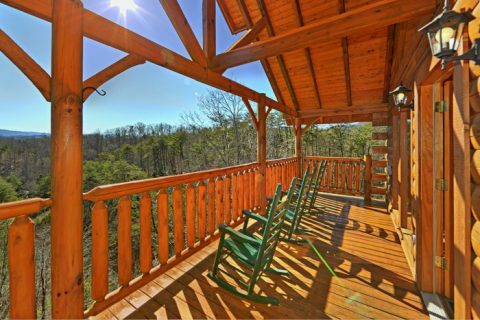 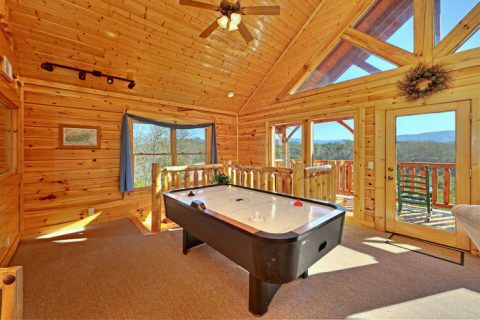 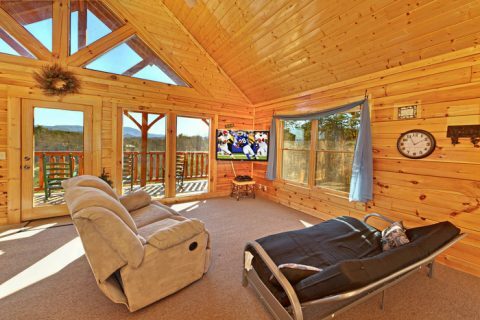 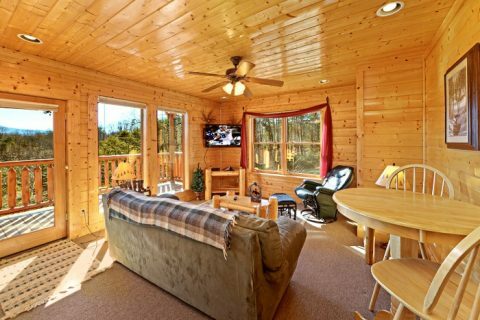 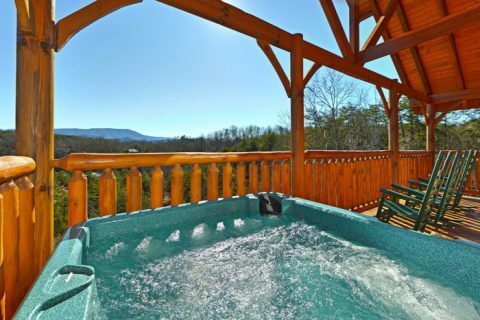 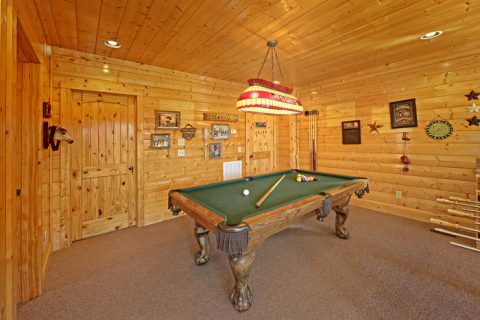 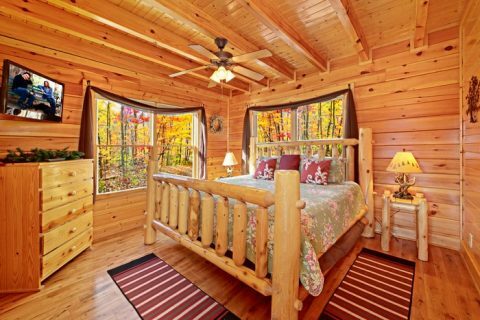 Cedar Creek Crossing Cabin | "Smokies View"
Cedar Creek Crossing welcomes you to "Smokies View," your premium 3-bedroom Smoky Mountain cabin rental with WiFi, game room, fire pit, and more! "Smokies View" rests in the relaxing Cedar Creek Crossing cabin resort community, near the Walden's Creek area, and offers easy access to dozens of Pigeon Forge rides, attractions, dinner shows, and outlet shopping centers. 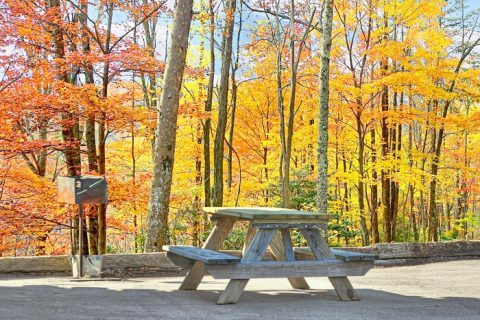 Planning on visiting Cades Cove during your Smokies vacation? 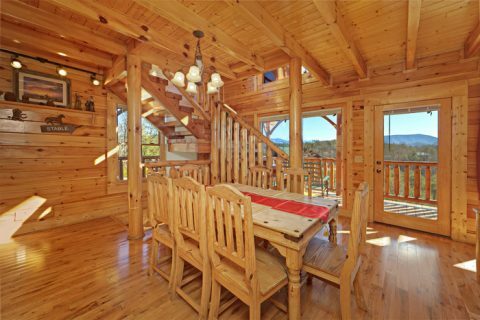 Your Tennessee cabin rental is a great starting point to head for a day's adventure in the park and a wonderful log home to return to after the day's fun. 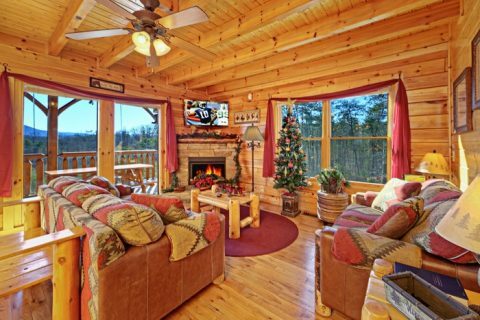 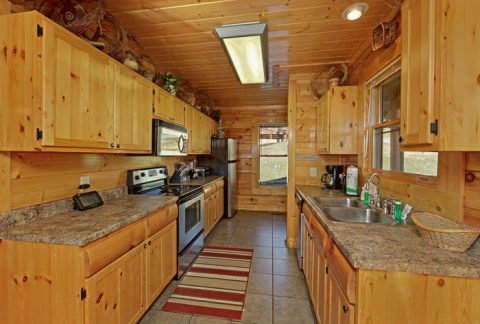 Your Smoky Mountains cabin rental provides WiFi Internet, a game room, electric fireplace, hot tub, jacuzzi, large, galley-style kitchen, washer-dryer, and a charcoal grill for that great outdoors taste. 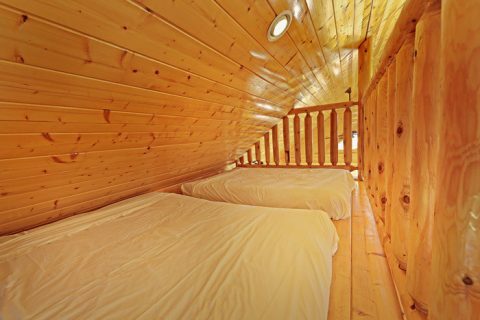 Your cabin also provides space to rest and relax. 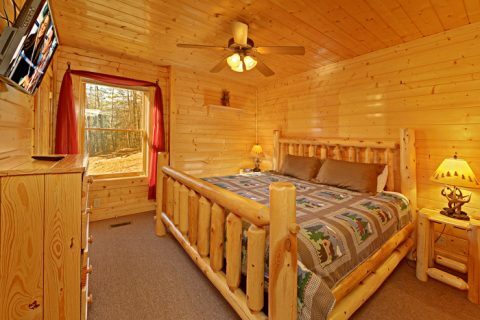 There are two king beds and two queen bed for plenty of comfort and relaxation. 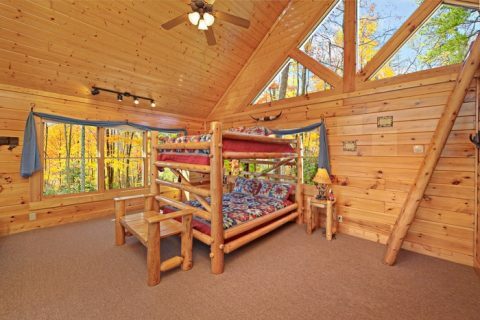 Another two twin beds located in the cabin loft provide a cozy nook that kids will love. 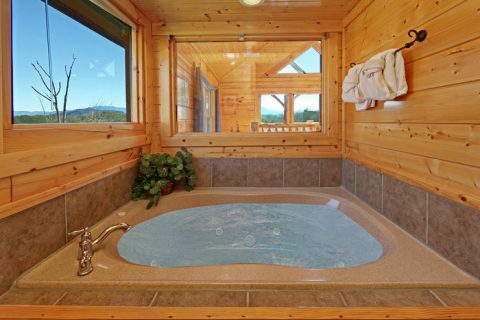 After putting the children to sleep, you may want to slip into the relaxing warm waters of your hot tub or private jacuzzi tub for even more rest and relaxation. 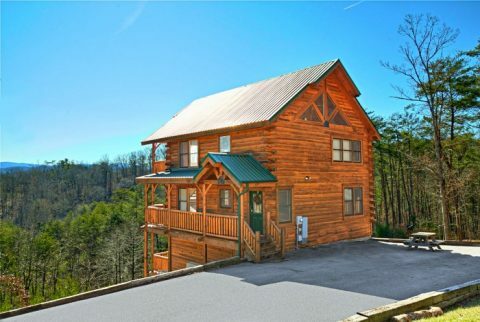 Book your Cedar Creek Crossing Tennessee cabin rental online with Cabins USA Gatlinburg for immediate Cabin Savings and come enjoy the Southeast's biggest playground!